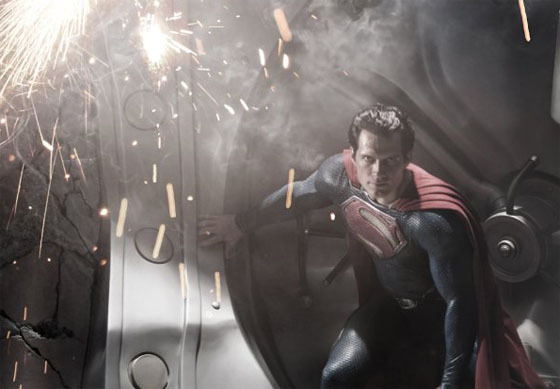 Warner Bros Release First Image Of Henry Cavill In Full Costume As 'SUPERMAN'! Warner Bros. have unveiled the first image of Henry Cavill in full Costume as Superman in Zack Snyder's Man of Steel At first glance, it all looks a little darker & broodier, in fact where are his eyebrows & pants? Hit the jump to check it out. "BURBANK, CA, August 4, 2011 – Warner Bros. Pictures and Legendary Pictures have provided the first look at the new “Man of Steel,” revealing star Henry Cavill as Superman in the film from director Zack Snyder.The film also stars three-time Oscar® nominee Amy Adams (“The Fighter”) as Daily Planet journalist Lois Lane, and Oscar® nominee Laurence Fishburne (“What’s Love Got to Do with It”) as her editor-in-chief, Perry White. Kent’s adoptive parents, Martha and Jonathan Kent, are Oscar® nominee Diane Lane (“Unfaithful”) and Academy Award® winner Kevin Costner (“Dances with Wolves”).Squaring off against the superhero are two other surviving Kryptonians, the villainous General Zod, played by Oscar® nominee Michael Shannon (“Revolutionary Road”), and Faora, Zod’s evil partner, played by Antje Traue. Also from Superman’s native Krypton are Lara Lor-Van, Superman’s mother, played by Julia Ormond, and Superman’s father, Jor-El, portrayed by Academy Award® winner Russell Crowe (“Gladiator”).Rounding out the cast are Harry Lennix as U.S. military man General Swanwick, as well as Christopher Meloni as Colonel Hardy. 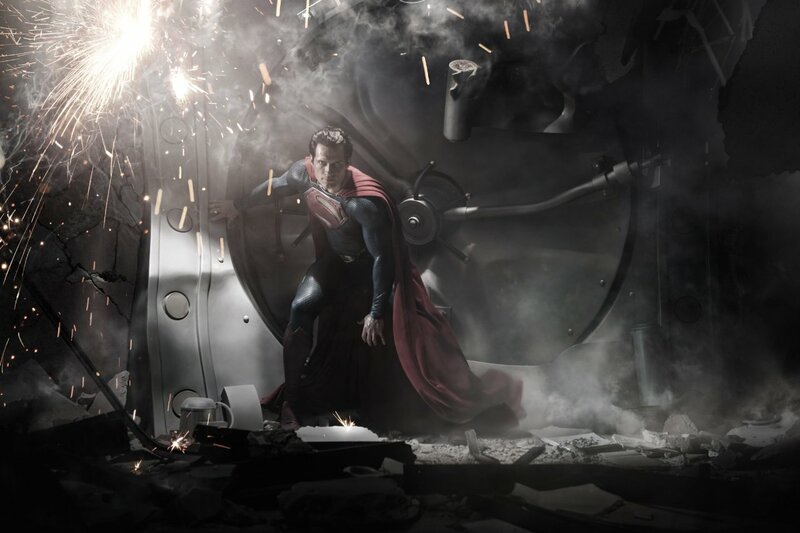 “Man of Steel” is being produced by Charles Roven, Emma Thomas, Christopher Nolan and Deborah Snyder. The screenplay was written by David S. Goyer, from a story by Goyer and Nolan, based upon Superman characters created by Jerry Siegel & Joe Shuster and published by DC Comics. Thomas Tull and Lloyd Phillips are serving as executive producers." I'm reading: Warner Bros Release First Image Of Henry Cavill In Full Costume As 'SUPERMAN'!Tweet this!